Tokyo Academy of Communications(TAC)Language Institute ｜ Greeting! Konnichiwa! You may have a wide range of reasons for wanting to learn a foreign language. Relax! You are NOT challenging something impossible. You are beginning something innovative based on love. Learning a foreign language is about communication! When you speak with a four-year-old child, you try to talk to him in a way he can understand. That's the skill that guides you to master the language! Enjoy this journey, with us as your navigators! TAC was started in 1985 by Takahashi, who previously taught at several higher educational institutions. He is one of the pioneers in incorporating the coaching approach in education. Takahashi was certified as the first business coach in Japan by the UK-based Alexander Corp. in 1994. Since then, he has been in the service of supporting not only business people but also young people applying to top universities. He also provides support for those preparing for job interviews, with a 100% success rate thus far. 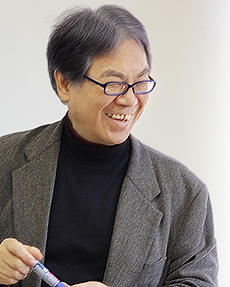 His previous publications include: Learning 300 Kanji through Stories, Learning Kanji through Stories 301-500. These books have been translated into seven different languages. He has also assisted in the publication of several textbooks and dictionaries.